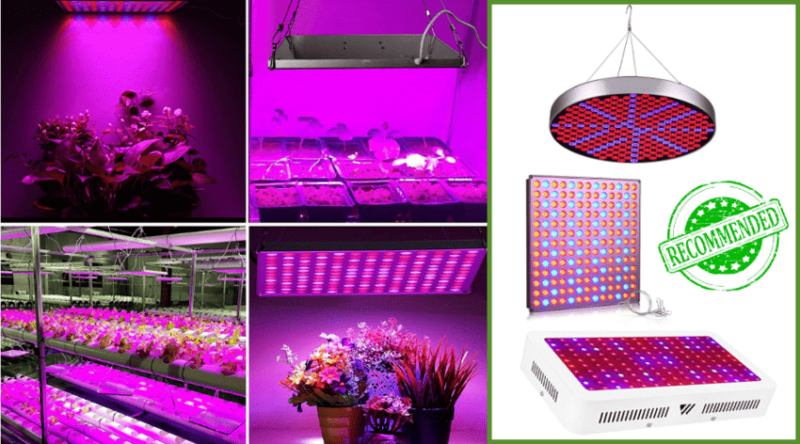 There is an incredible amount of advice available on the internet surrounding the types of light bulbs, the best systems, and what kind of grow lights you should purchase for the best support of your vegetation. It doesn’t take long to become overwhelmed with attempting to make a choice for an all-inclusive system, or sticking with more tried and true bulbs specific to certain light spectrums. If you are new to, or an old hand at, indoor plant grows, and are looking to support your vegetation in the best way possible- it never hurts to keep up with the products that are on the current market. 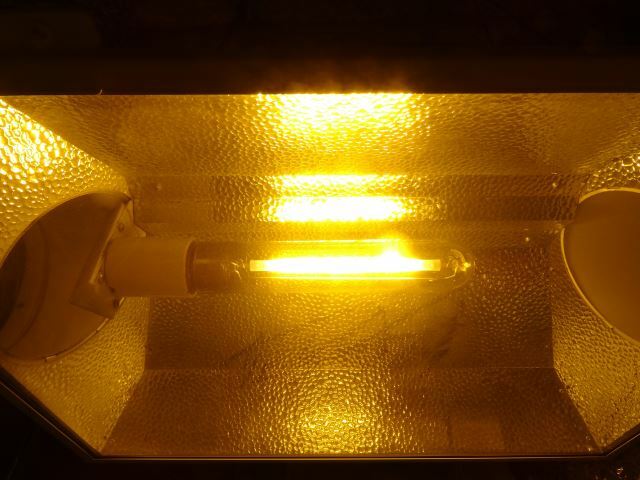 High-Pressure Sodium Lights, or HPS, are a tried and true bulb that has been used for well over 100 years to help support and promote reproductive stages of plant growth. 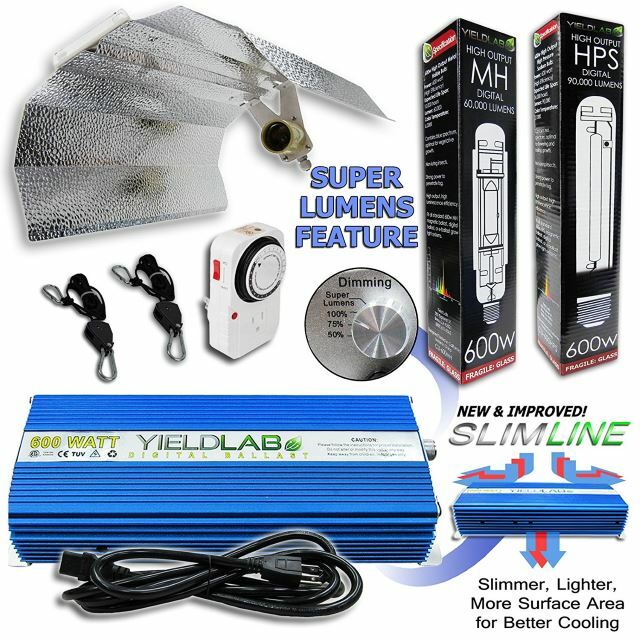 Some of the best HPS grow lights reviews surrounding current market products can be found below. What are HPS Grow Lights? 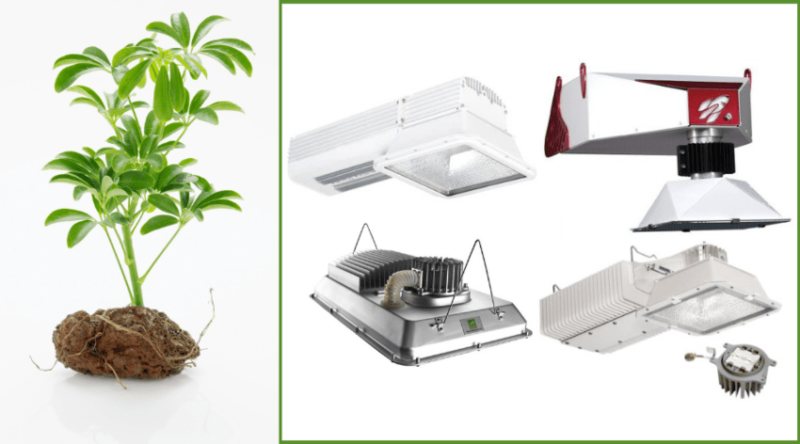 Why Choose an HPS Grow Light? The sun emits various wavelengths of light that are both visible and invisible to the naked eye. Plants utilize specific parts of this light during different stages of growth to promote maturity and fruition of the plant. 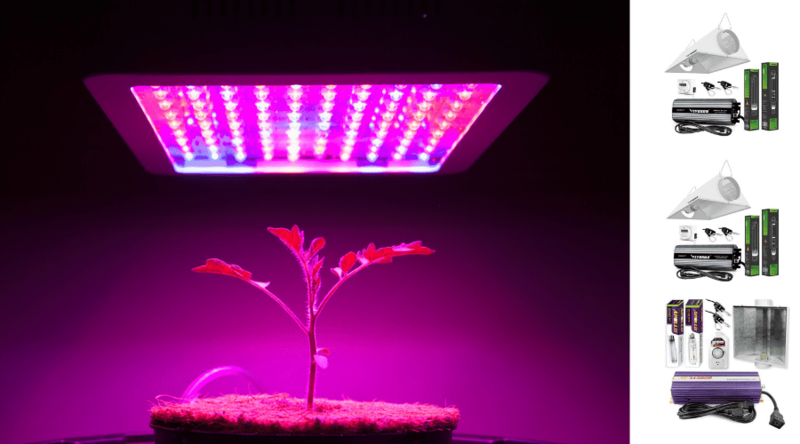 Grow lights synthetically mimic this spectrum to help promote the chemical process of photosynthesis that plants depend on to convert light energy into something that can be used by the plant itself. Early stages of plant growth and maturity use shorter, blue wavelengths because they are warmer and help promote and support these more delicate stages. As plants mature towards production, they are triggered to bloom and produce with the introduction of stronger long, cool red wavelengths. This mimics the late evenings and shortening season that leads plants into harvest. Grow lights are able to provide concentrated energy of varying spectral wavelengths to ensure your plants get exactly what they need when they need it. 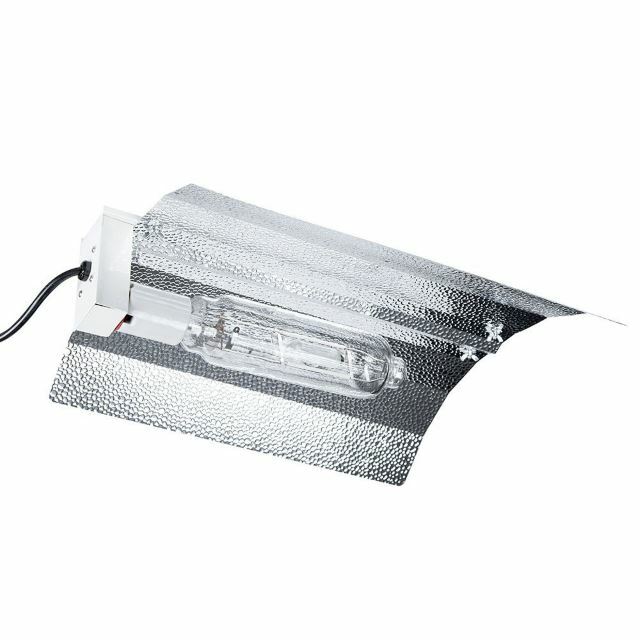 HPS lighting falls under the label of a High-Intensity Discharge (HID) lighting that is donated by a type of large bulb that is filled with gas. This gas ignites when two electrodes arc electric currents between them- which causes the gas to light up. The different types of HID bulbs are defined by the type of gas found within, and HPS are called so due to the High-Pressure Sodium used to create the glow of the light itself. 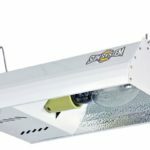 These grow lighting systems include a ballast to power the bulb and also regulate the amount of energy provided to keep the bulb from burning out quickly. A reflector, or hood, helps focus the light energy where you need it, it’s also commonly used with an HID bulb. HPS bulbs create a more red light when ignited, and so is a popular choice for influencing bloom and supporting plants through productive growth phases. This allows you to provide the exact wavelengths needed for these stages- and when used in conjunction with both a ballast and reflector, you can control the intensity through dimmer switches. Plus, you can keep your light concentrated in the area you want it in, rather than losing light and energy through dissipation into the surrounding space. HPS bulbs produce a very intense light, which is extremely beneficial to the bloom stages of your plants. 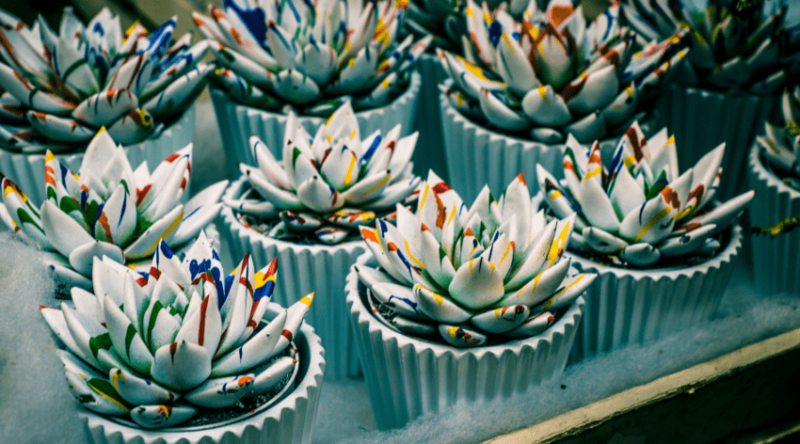 If you are dependent upon the production of your plants for harvest reasons, these are bulbs worth considering to maximize your overall crop yield. The intensity of an HPS bulb requires you to pay close attention to your light placement in conjunction with your plants. Placed too close and you can easily burn your vegetation and ruin your chances of a good bloom. They also produce quite a bit of heat, and proper ventilation is a must. 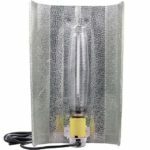 Air or water cooled reflectors are popular to use with these as well to provide you with peace of mind, and often come complete with bulbs in certain grow kits. There are certainly many reasons to consider when deciding if an HPS lighting system is a possible choice for your vegetative needs. Since they are not specific for all stages of growth, and have a few rules surrounding their use, you should consider all aspects of your needs prior to investing in one. As mentioned, HPS lighting is specific to the red wavelengths of light, and support bloom and plant production more so than vegetative stages. Whereas you can use them in conjunction with other lights, and many ballasts will support other bulbs of the same power draw, be sure to use them on the stages of growth where they will benefit your plants the most. You can cover quite a bit of space with an HPS bulb, and can create larger footprints through the use of higher bulb wattage. Just be sure to match your ballast with the compatible bulb size as it is a requirement to avoid quick burnout or other power issues. Do you have proper ventilation and space? HPS bulbs will put out quite a bit of heat and they are incredibly intense. Be sure to have enough space above your plants to place it where it won’t burn your vegetation, as well as around the light to provide proper ventilation. What plants do you plan on growing? If you are not trying to influence and support the bloom of your plants, and are looking more to maintain, this probably isn’t a good choice for you. Red lighting is very specific to these later stages of growth leading into and during bloom and production. 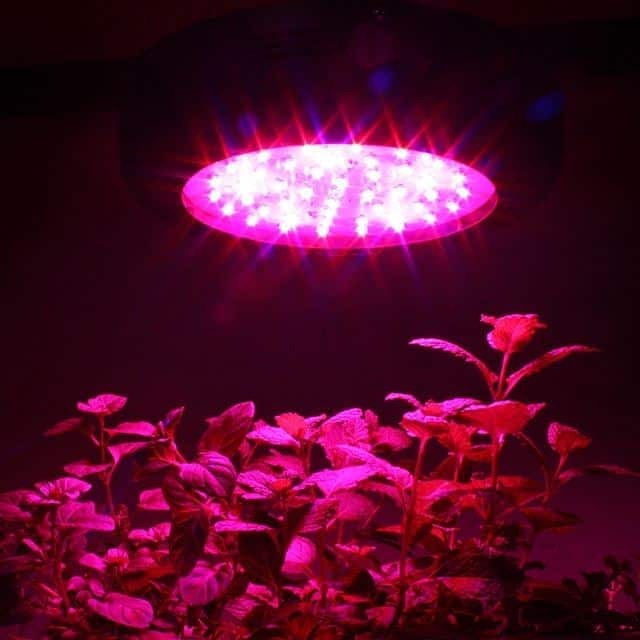 So, if your plant doesn’t flower – you may want to consider lights that have a stronger blue spectral support for vegetative stages. There isn’t a lot of variation between one HPS bulb and another in terms of what they are made to do, but there are variances between brands and quality control. Sticking with a company that consistently provides dependable lighting is an important consideration to keep your plants from being left in the dark- literally. 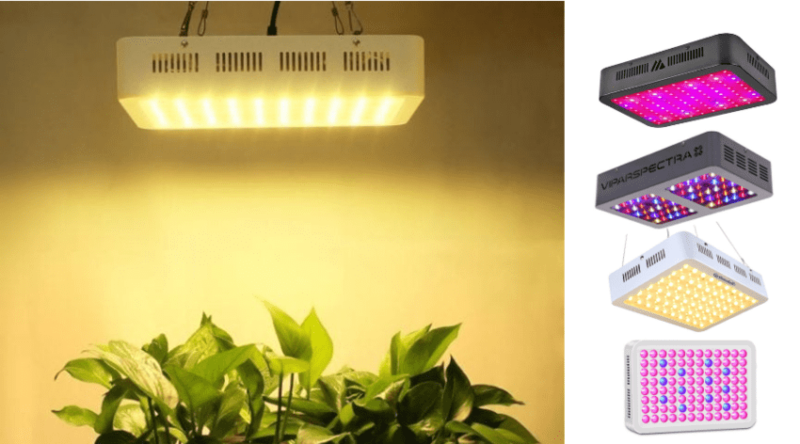 Most HPS bulbs are sold within systems (although replacements can be purchased separately) and some of the best HPS grow light setups are found below. This is an excellent system created specifically for smaller grows or as a supplemental light where needed. The 18 x 9 x 6.5 inch reflector with built-in ballast includes ventilation and air cooling to help dissipate heat. With a total coverage of 4 square feet, this is plenty to support a few sun-loving flowering plants through the winter months, or influence a small garden crop out of season. The Sun System Plug and play comes assembled and ready to plug in out of the box. With a white powder coat finish, which repels rust in humid conditions, it’s a durable, long-lasting housing. Hooks are included, but a hanging ratchet system is not and can be purchased separately. A seven foot, 120-volt grounded power cord is also included. This is definitely ideal for small spaces to support sun-loving annual and perennial plant bloom and production. Indoor winter gardens would greatly benefit from this light, as would tropical flowering plants, and smaller crop grows. iPower is a strong industry name and offers a wide variety of housing choices for HID style lighting. This 1000 watt digital dimmable ballast system is available for lower wattage as well. It also provides the option to control your light output by 50%, 75%, and 100% intensity. This is helpful to avoid having to change the height of your setup as your plants grow. The included wing refractor provides some of the best coverage, and helps keep costs low, but also does not have a built-in cooling system, so good ventilation is a must. A built-in 10-foot heavy duty power cord and hanging ratchets is included. This makes the mounting and moving of this lightweight, 4-pound setup, a breeze. Made for powerful and intense lighting, this is a solid setup for use over serious vegetative bloom and production. Made to be an easy starter kit for both hobbyists and professional growers, this all in one lighting is a great deal. Apollo Horticulture offers everything you need to get your grow going. This system includes a ballast, air cool hood, hanging ratchets, a timer, and both an HPS, and MH bulb. It provides a blue spectral wavelength in order to provide a fuller spectrum through the life of your plants. Also offered in a 400 and 1000 watt support, this steel and aluminum constructed ballast and the hood combo can be dimmed to provide complete control of your light output. The air cool hood is a nice touch as the heat created by these bulbs can be significant. But with proper ventilation and air flow, the glass of this hood stays cool to the touch, even after hours of run time. With an 8-foot power cord, you can run off 110 – 240 volt outlets within a few minutes of unpacking. Kits like these are perfect for anyone looking for an all-inclusive setup. 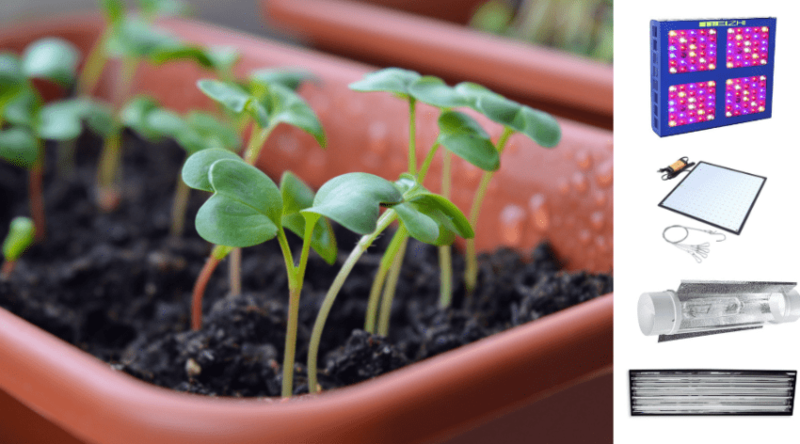 Beginners and experts alike can easily set this up for startup planting, or maturing and blooming plants as long as the bulbs are switched out correctly during the correct stages. Vivosun offers a 400, 600, and 1000 watt kit, with the 600w being the most popular, as it can still be used in smaller spaces, but only has a footprint of up to 4 x 4 feet. The air cooled reflector has a glass face that stays cool to the touch and provides excellent airflow when in use (you should purchase a 6 inch induct fan for this to work). Included with this kit is a full spectrum advantage with the inclusion of an MH bulb, hangers, and an 8-foot work heavy power cords that are plenty long enough to reach your outlets. Also unique to this kit is a 7-day digital timer that allows you to setup a lighting schedule for an entire week at a time. It also has 8 on/off programming settings with 2 separate outlets for your convenience. The rust-resistant housing is sturdy, durable and lightweight enough to mount and move easily with no problem. 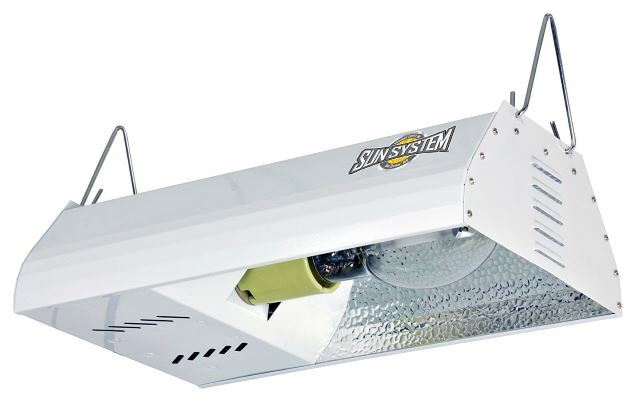 A great system for getting new grows started, this kit does require an induct fan for proper hood ventilation but can be picked up through the company, as can new bulbs. Easy to use and mount, anyone can easily take advantage of the light this system provides. The extra large wing reflector on this kit concentrates your light where you need it, and provides excellent coverage for approximately 4 square feet, possibly even more, depending on your needs. And if you do need significantly more coverage, a 600 and 1000w ballast is available as well. 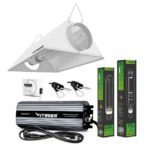 With everything you need to get started, this setup includes a dimmable ballast, hanging ratchets, a timer, and an MH bulb for early growth and vegetative plant stages. Because there is no built in cooling system, be sure to allow for proper room ventilation to avoid overheating the system and/or stressing your plants. The dimmer located on the ballast can help with the light intensity and heat as well, especially when adjustments need to be made concerning the rate of growth and plant distance from the bulb. 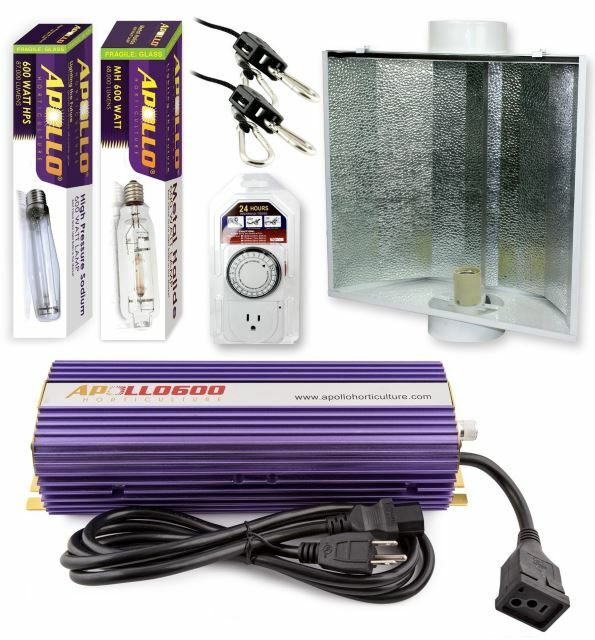 Like other choices, this is a great starting kit for anyone new to grow lights, or well versed in their use. New grows benefit from the convenience of not having to borrow from other existing plants you may already have, but with no cooling system be sure to leave plenty of space for ventilation. HPS grow lights are a great addition to your indoor vegetation grows and blooms, and are specific to helping influence plant production. HPS bulb kits are excellent ways to introduce a new system to your existing nurseries, or starting a new one as a beginner, since they include almost everything you need to get rolling. 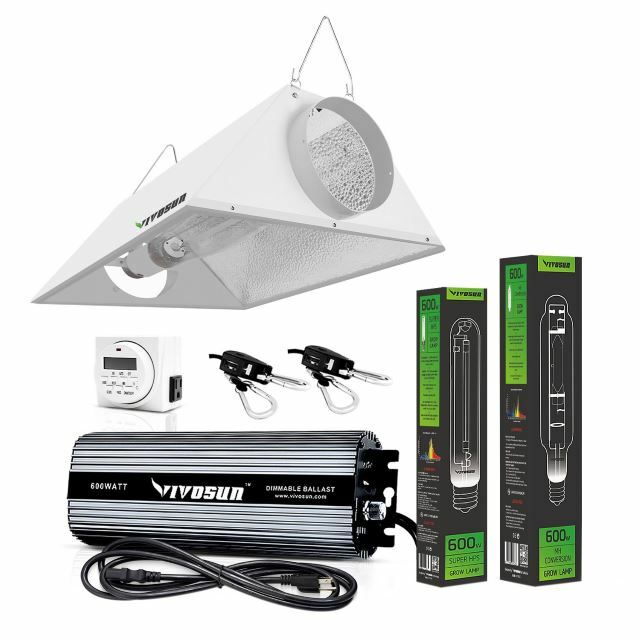 The VIVOSUN 600 Watt HPS Grow Light Kit is a favorite for many reasons. The full kit includes just about everything you need, and the timer and control settings make this an easy to use product whether you are taking advantage of the smaller 400-watt offer, or the larger 1000-watt powerhouse. Just add an affordable induct fan, and you can take advantage of it in grow tents as well as to keep the air cooled reflector cool to the touch. If you have any questions about the brands we’ve highlighted, or comments on your own experiences, we’d love to hear about them below. And, as always, please share!